Today's review is for another new cigar from Miami Cigar Company. The La Sirena was released in Chicago on November 19th, 2010, at a party hosted by our good friends at Casa de Monticristo. The entire crew from Miami Cigar Company attended the event, along with my partners from my sister site Cigar Explorer. Below is a press release from Miami Cigar Company about the cigar and the party. MIAMI, FL – It’s believed that life on earth originated in the ocean, and now Miami Cigar & Co., makers of the highly-acclaimed Nestor Miranda Collection and Tatiana flavored cigar line, has brought life to a new full-bodied cigar selection inspired by a mythical sea creature. 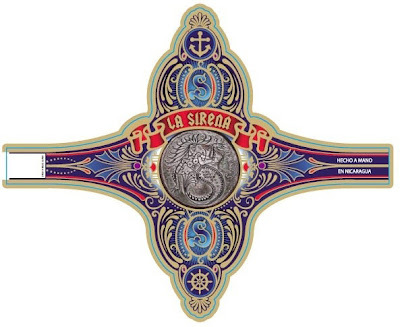 Blended and manufactured by Don Jose “Pepin” Garcia in Nicaragua, La Sirena cigars, Spanish for “mermaid,” will make their Earth debut in Chicago, IL on Friday, November 19 at Casa de Montecristo. The launch will be attended by newly appointed Brand Ambassador, Ms. Arielle Ditkowich. Ms. Ditkowich will also be traveling nationwide to help introduce and promote the La Sirena line. 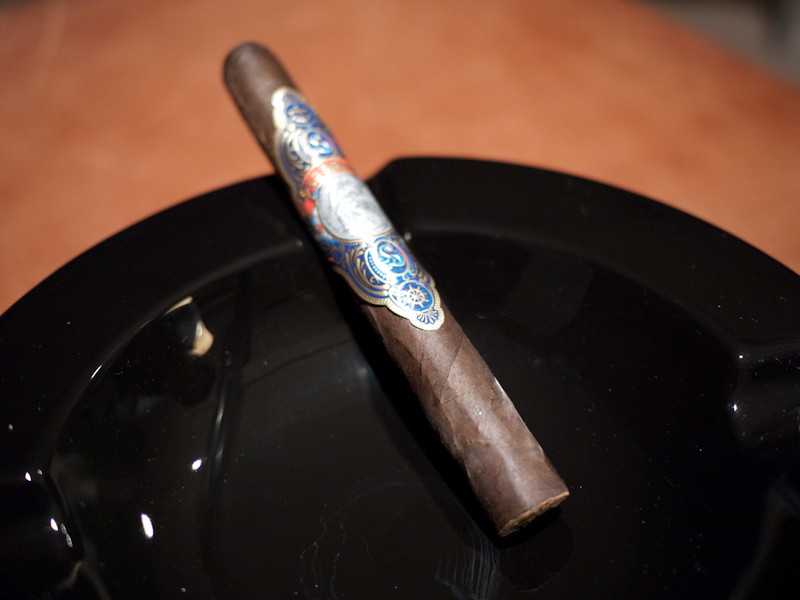 To achieve La Sirena’s full-bodied flavor, Don Pepin has used Nicaraguan Criollo ’98 & Nicaraguan Corojo ’96 as filler, plus a dual Nicaraguan Habano & Nicaraguan Corojo binder, rolled in a lush Connecticut Broadleaf Maduro wrapper. Since Cigar Explorer was at the event, they were able to pick up a box of these sticks and bring them back to Columbus for reviewing. Enough typing, let's get to smoking. I have to point out right away what everyone says when they first see this cigar. Yes the band is really that big. On a corona sized stick, it is slightly overkill, but the glue holding the band together has not been heavily applied on any of the sticks I've smoked, so removing it is no issue. 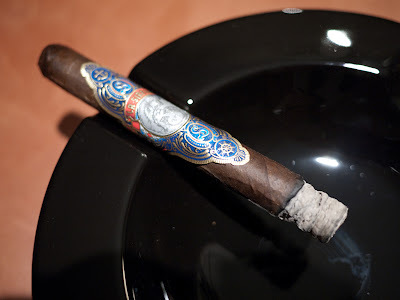 The wrapper on my La Sirena was dark brown and very rustic looking. There was a significant amount of tooth and some pretty large veins...all the things that most of us know and love about broadleaf.The pre-lit aroma was mostly barnyard smells, mixed in with just a hint of coffee. The triple cap clipped easily and the cold draw consisted of sweet tobbacco mixed with some leather notes. Pepper bomb! After lighting my La Sirena the first 5 or 6 draws were an absolute classic Don Pepin blend pepper bomb. The flavors were extremely stong and tingled the top my tongue. The draw was free and the stick gave off a medium amount of smoke...pretty much the amount of smoke you would expect from a cigar of this size. About an inch into the stick, the finish flavors started to come forward and stand out from the pepper. I started tasting a lot of sweet raw honey on every exhale, which really worked well to balance out some of the spice. Slightly further into the first third, the front of the flavor profile started to change too and I could taste some hints of coffee. The second third of my La Sirena is was what I referred to my smoking partner as "where this cigar developed to greatness". This has to be where Pepin, or whoever else was on the taste testing crew for this cigar, realized they were on to something good. 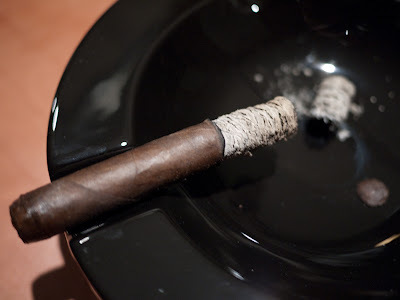 Similar to the first third, I was tasting a lot of peppery spice on the front (which I love), and sweetend honey on the finish, but now the black coffee flavors had also developed into a strong characterist of the cigar. 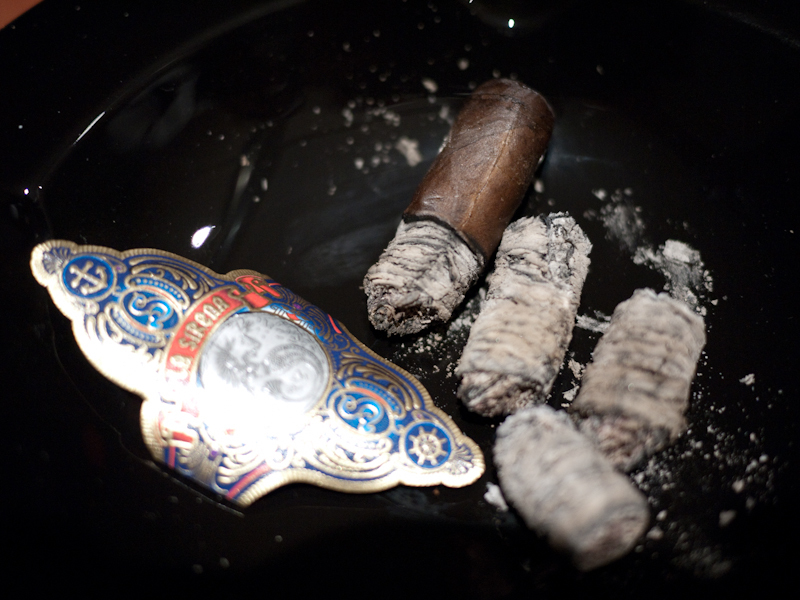 Every draw on the cigar produced a complex flavor mixed on my palate that made me want to rush to the next puff. The smoke volume picked up a little which might have helped the flavors be just that much more intense. I want to point out here that, althought the flavors were extremely strong, the finish on the cigar was clean and did not leave my mouth feeling dirty or burnt. This is a hard thing to do with broadleaf and reminded me a lot of the finish on the NHC Reserva from New Havana Cigars. The body was in the medium range for me. The final third and things just kept on going perfectly. The flavor mix was almost the same as the second third, with pepper, coffee, and honey, but now every once in awhile I got a slight bitter chocolate taste. This flavor did not come through on every draw, but when it did it, added just another dimention to the flavor profile that was already well established. The cigar burned excellently from start to finish, never requiring any touch-ups. I smoked this stick to the nub and it never got hot or harsh. I know the press release for this cigar says it's a full body smoke. For me, it was more in the medium range; fuller than other sticks from Miami Cigar Company, but I never felt that nic kick that I get from real full body cigars. My final thoughts on the La Sirena? 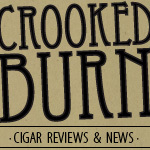 If you took the time to read this review then you will not be surprised when I say that this new favorite is one of the best cigars I have smoked all year. It's Decemeber...save the best for last, maybe? While I am not yet ready to crown it king of 2010, it will certainly be in the royal court. The flavors were extremely strong, yet evenly balanced, keeping me wanting more the whole time. Yes, I am a sucker for broadleaf and for the Pepin peppery spice, but this stick not only had that, it also had some serious depth in the flavors that may have been missing from some of his other blends this year. Would I buy it again? Being that this is one of the best cigars I have smoked all year, I see myself buying more of these time and time again. I currently do not have anymore, and I'm not sure if anyone local is selling them yet, but I will be on the hunt and I think you should be too. Would I buy a box? I would buy a box of these without hesitation. I don't know if I could buy a box with that size of band...errr...condom on it! This is a really nice review you got here! I am really impressed with your taste in cigars.